WSOU Podcast Reboot: Podcast Pals! 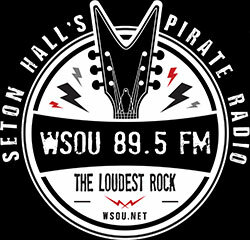 Check out this installment of the WSOU Podcast! WSOU Podcast Reboot: April Fools! Check out this episode of the WSOU Podcast! Cameron and Elliot join Rachel on this podcast episode! The WSOU Podcast is back! Honorary Tech Ops Assistant Bhavishy (DJ Fishy, Weatherman) is joined by podcast newcomers, Andre (The Animal) and Tim (Tim) for this week's podcast! This week’s podcast focuses on the specialty show, Street Patrol! The Weatherman and The Conductor join Tech Ops Assistant Bridget to discuss our DJ names, power metal, and random bursts of lightning. The Weatherman almost gets free pizza from a fan and find out who keeps asking DJ Worldwide to play Drake. Technical Operations Director Grant is joined by Promotions Director Megan, and Staff Representative Worldwide (Rich) for this week's episode of the podcast!